To remedy this newly risen problem many companies have produced screws or bars that insert into the soles of wading boots. While this fixes much of the problem it also creates a couple more. When referring to the screws, they are not easy to insert or remove when the need arises. This can result in pretty scratched up boats. Once the screws are sufficiently worn out they are especially difficult to remove. 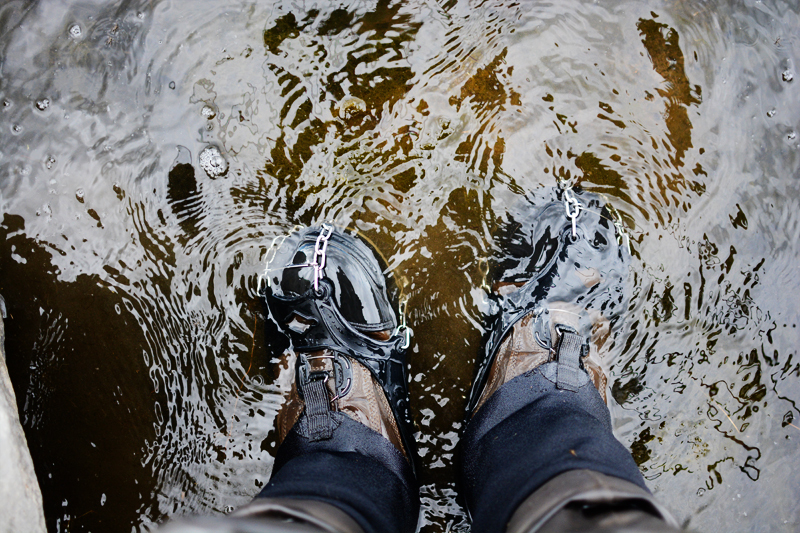 This isn't an issue if you have enough money to buy multiple pairs of wading boots that can be used in different situations. My experiences with sole screws left me thinking that there had to be a better way. I have toyed around with the idea of getting some crampons for some time now, so when the opportunity to try some was presented I was pretty excited. I love when gear is simple and effective. The Hillsound Freesteps6 Crampons are just that. They are made of tough stainless steel spikes and chains that are held to the soles your boots by a resilient rubber collar. The simplicity is awesome. 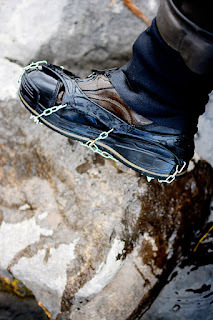 Just slide the front part of the crampon over the front of your boot and pull the back upward. They are a pretty snug fit, and can need a little coercion to get on, but it's no deal breaker. Initially I was a bit annoyed with the snugness, but quickly realized how important a good fit was. 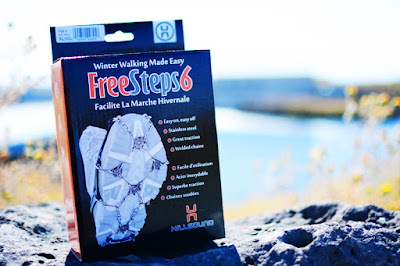 Throughout the year I scrambled over boulders, rocks, hillsides, and dead fall, all of which was made easier with the Fressteps6 on. And they never slipped around on my feet, not even once. I still wear felt boots, but toward the end of summer even the felt is no match for the slime coating many riverbeds. These crampons have given me much more confidence, especially when navigating the faster sections of snotty bottomed rivers. The Hillsound Freesteps6 Crampons are available at quite a few online stores, most of which sell them for around $40. The versatility they provide make the purchase very much worth it too. An added (but not intended I'm sure) bonus to these crampons is they have protected my wader boots from wear and tear on the sides. 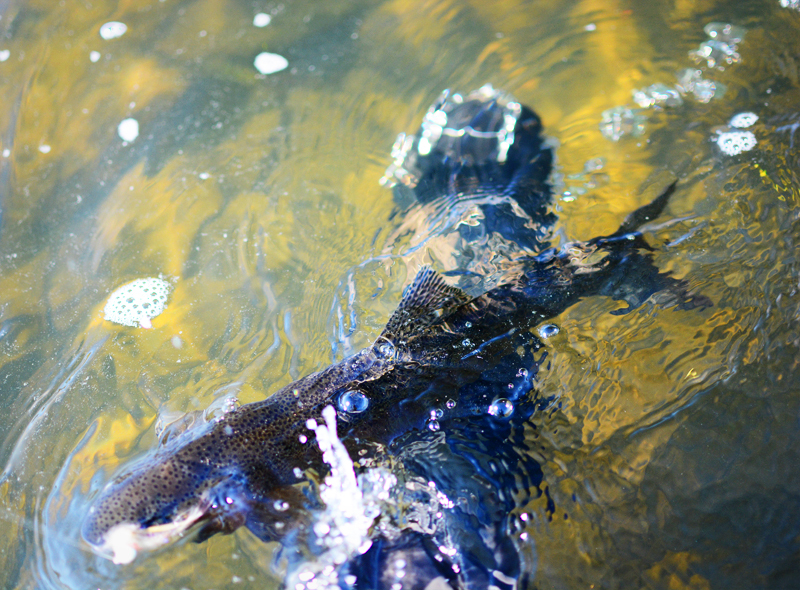 Everyone has "hotspots" on their wader boots that wear out faster than the rest of the boot. For me this is usually on the sides, though this doesn't seem to be the most common spot for most guys I know. I think I have a tendency to rub the sides on rocks more than other guys. This must be an odd result of the the way I walk I suppose. Either way, these crampons have added an unintended protection that has improved the longevity of my boots. (I usually get one season out of a pair and these are going strong.) This added bonus may not apply to everyone, but I thought it worth mentioning. I'm just crampon this rainbow's style. While there are mostly pros to these crampons, there are a couple cons that need mentioning, and these are not exclusive to crampons. One drawback about any kind of metal traction system is that they make far more noise when getting around the river. They have a tendency to grind on stone. This can result in spooked fish. When I want to put the sneak on and am worried about scaring fish, I just slip them off and hang them from my pack with a carabiner. That is one reason I love these crampons. One other drawback about metal traction systems in general is that the angler has to be careful about stepping on their fly line because the metal can severe or damage the line. 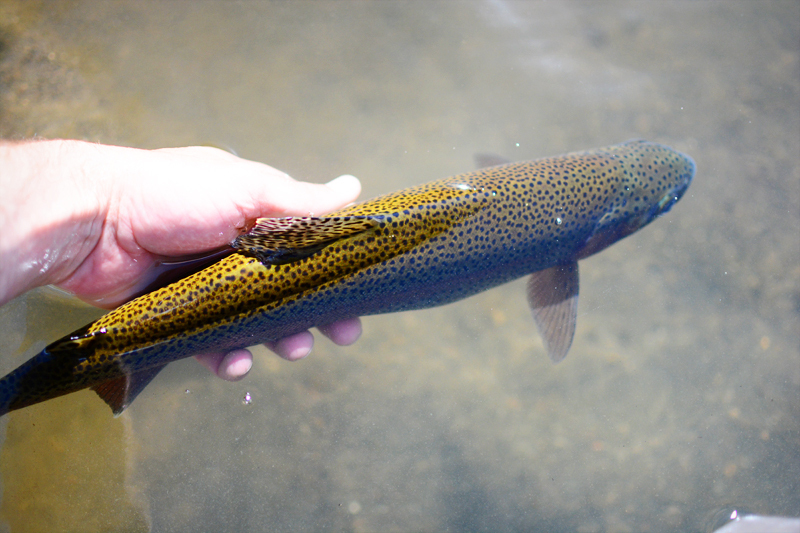 Think it's painful losing a fly or leader, try losing half your fly line. Yikes. I'm pretty stoked that these are so simple and so versatile and that I can use them this coming winter too. Between wading rivers and traversing a frozen lake to ice fish, the Freesteps6 crampons are a good investment and tool to add to your angling arsenal. Because they are so awesome Living Fly Legacy will be doing a giveaway for a free pair beginning next week. The details will be announced then.